Virginia Gov. 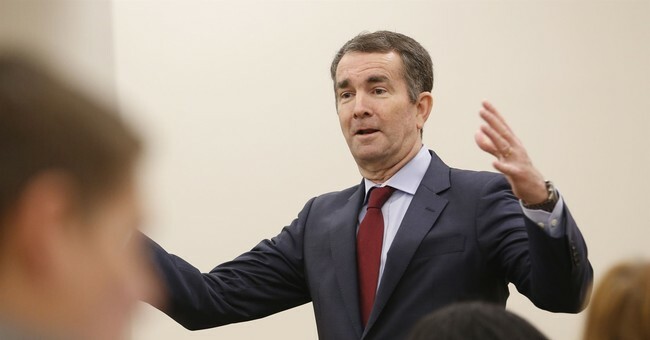 Ralph Northam (D) held a press conference Thursday to deal with the outrage over remarks he made earlier this week suggesting that in some cases infants could be left to die after birth. Northam said he did not regret those remarks. Gov. Northam commented on late term abortion on WTOP Wednesday when asked about Del. Kathy Tran’s bill that would permit abortion up until birth. These remarks and Del. Tran's acknowledgement that her bill would allow abortion after a woman went into labor earned intense criticism. President Trump, Vice President Pence, and many other Republican lawmakers condemned the Democrats' extremism on the issue. One Democratic co-sponsor of Tran’s bill even withdrew her support after realizing what it said and admitted that she had not read the legislation before co-sponsoring it. However, in his press conference Thursday, Northam said he didn’t regret his comments. “Do you regret what you said yesterday or the way you said it?” a reporter asked. "I regret that those comments have been mischaracterized," Northam added. He emphasized his experience as a pediatric neurologist throughout his remarks but never directly addressed whether or not he believes infants should be resuscitated after birth or potentially left to die as his prior comments suggested. "These comments that have been made, the questions that have been asked, are nothing more than political points," he said. "We're here to set the record straight. Virginia Democrats are on the side of ensuring women get the health care they need," Northam claimed.